Deutschland collectible, complete with matching case. 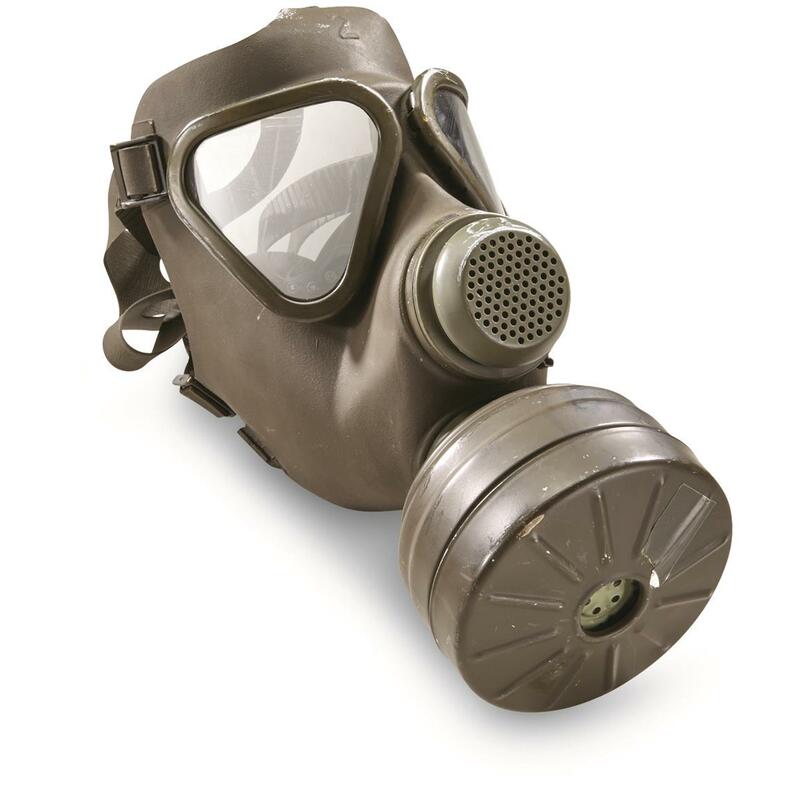 As seen in use by German troops for training and rapid response to possible chemical attack. 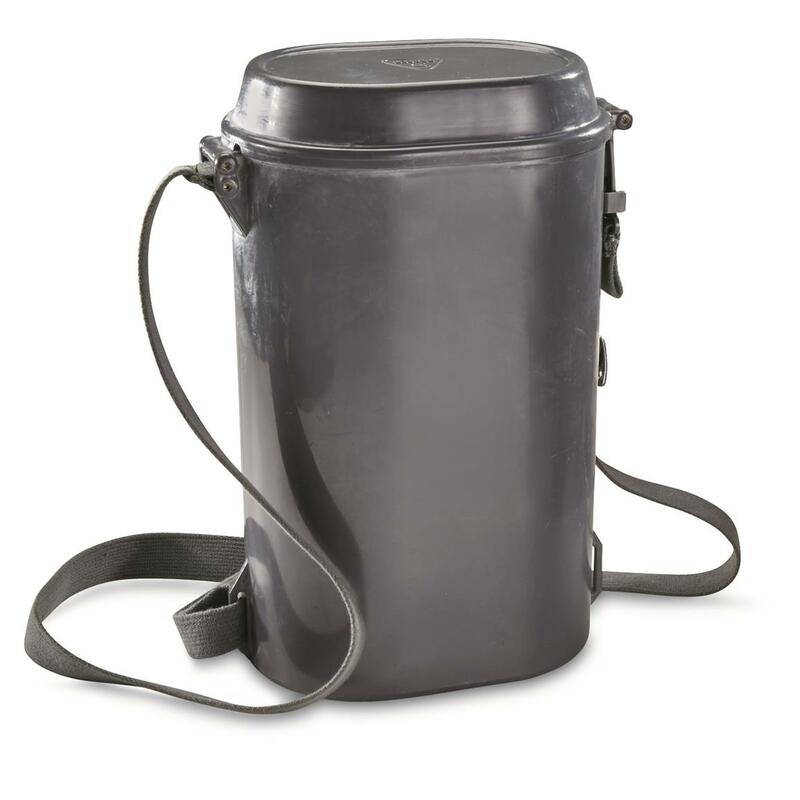 This is a classic German design, popular both for ease of use as well as enlarged lenses for increased visibility. 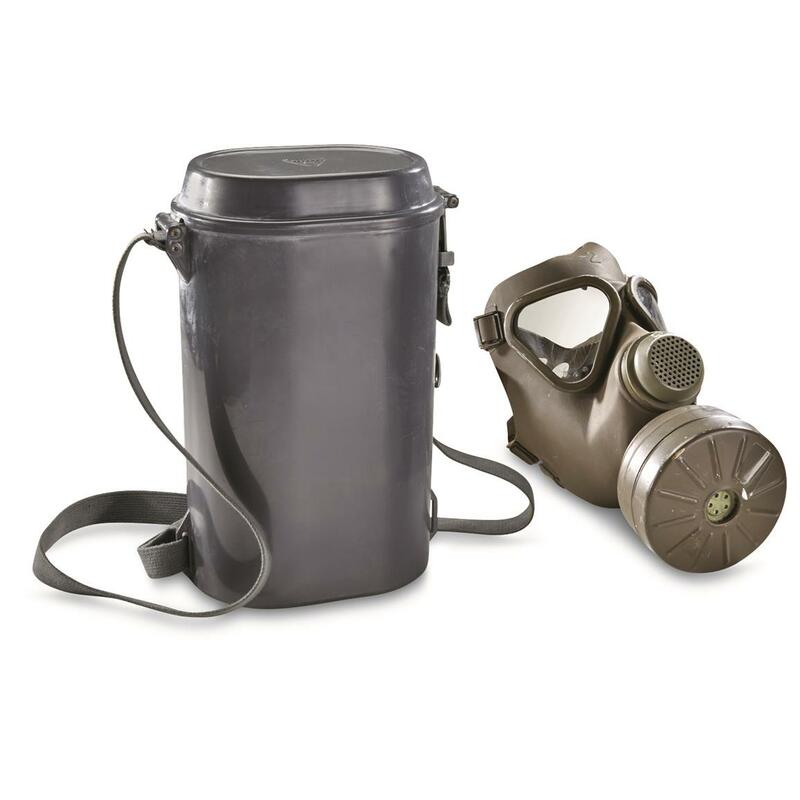 Not only do you get a matching metal NATO-approved filter cartridge, but also the matching plastic carry container with shoulder strap. The entire Kit, ready for display or for use in your next custom project. Bag your Gas Mask, while this deal lasts!